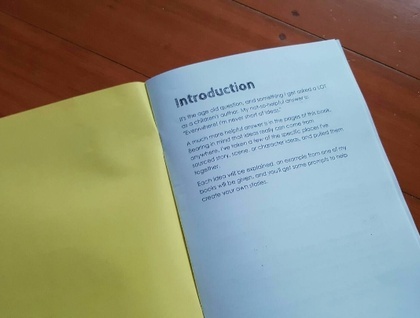 An A5 zine, handmade with 16 white pages + bold, bright cover (colour may vary). 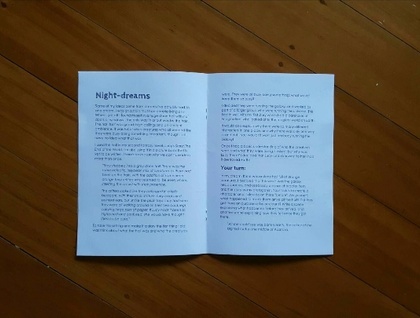 Interior is text printed black throughout. It is staple-bound. 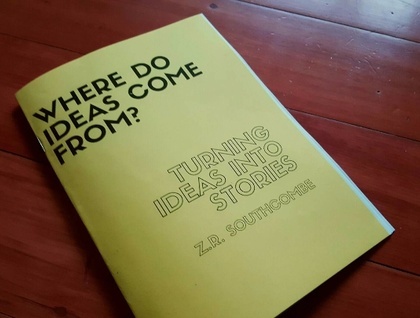 This zine aims to answer a question I get asked from children and budding writers - where do you get your ideas? It aims to go one step further and demonstrate how those ideas can be turned into stories, with specific examples from my own work and tasks / exercises you can do.